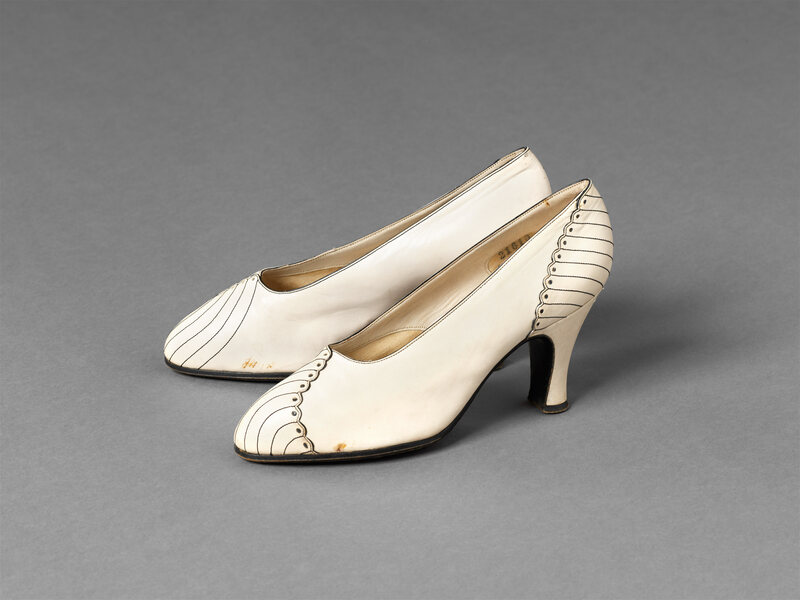 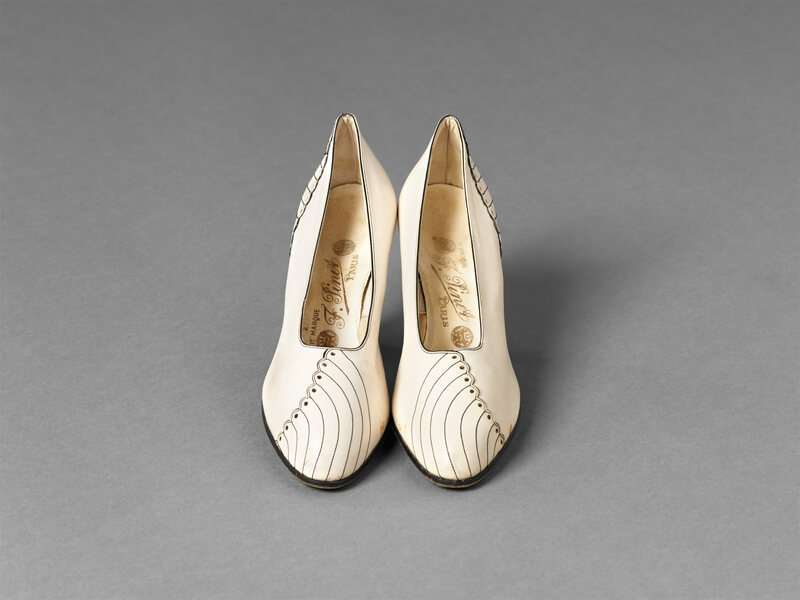 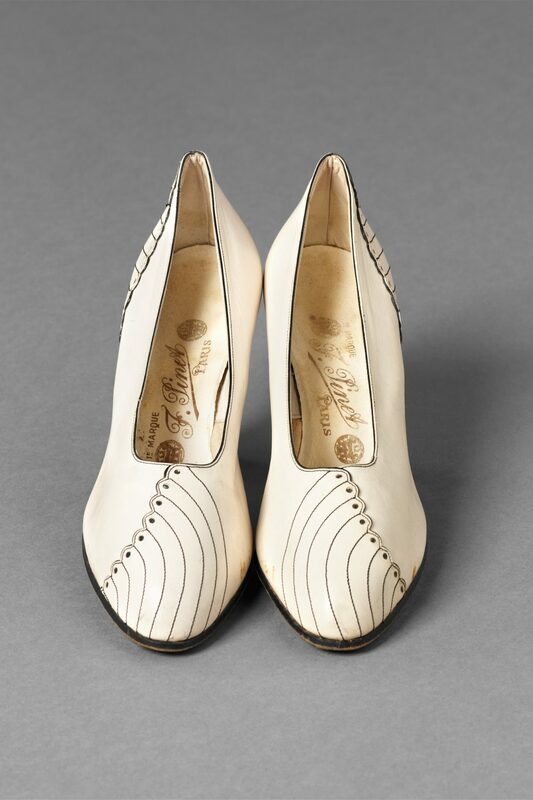 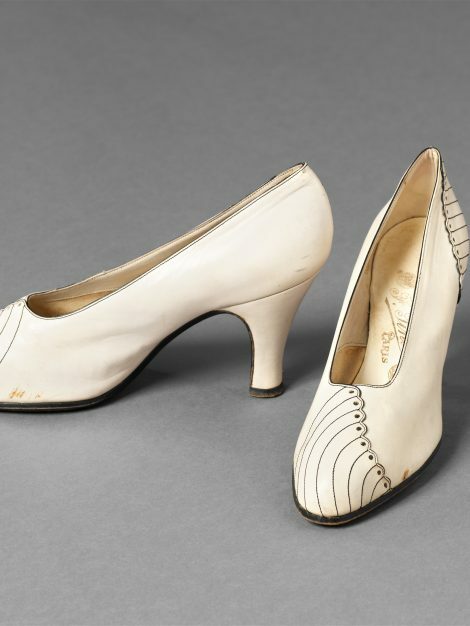 These elegant shoes, with their contrasting decoration, were made by the prestigious French shoemaker, F. Pinet, whose company was founded in the mid 19th Century. 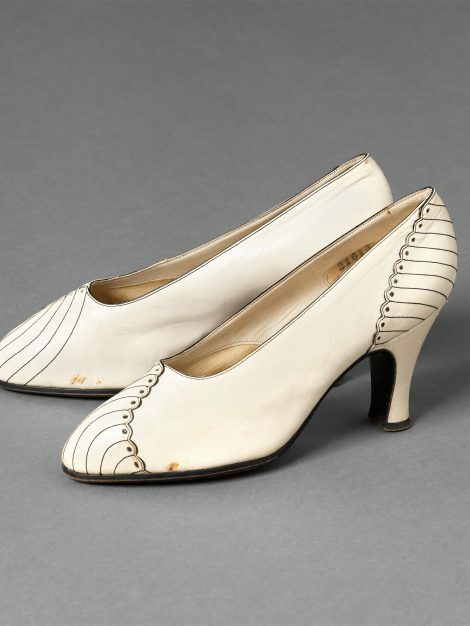 Their style helps to emphasise the long slim line of fashionable dress during the first half of the 1930s. 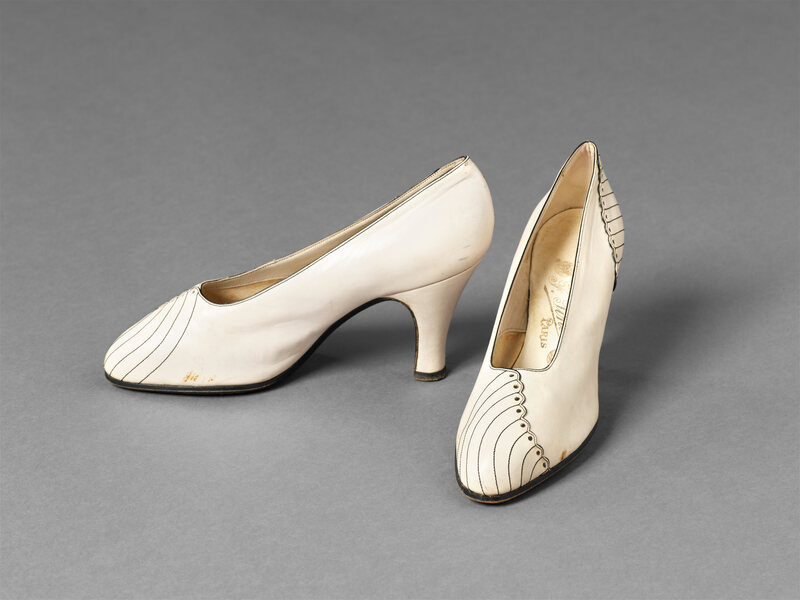 Their heels angle the feet downwards, and the narrow front openings are uninterrupted by straps or fastenings, elongating the legs in a flattering manner; the arced lines of dark topstitching lead the eye forward to the tips of the toes; and their colour creates no break of tone with the stockinged leg.